Plantains and the 7 Plagues is the author's first memoir about her life growing up as a child of a Cuban father and Dominican mother in New Jersey. The book deals with the assimilation issues of many first generation American children and the cultural impacts on their day to day lives. 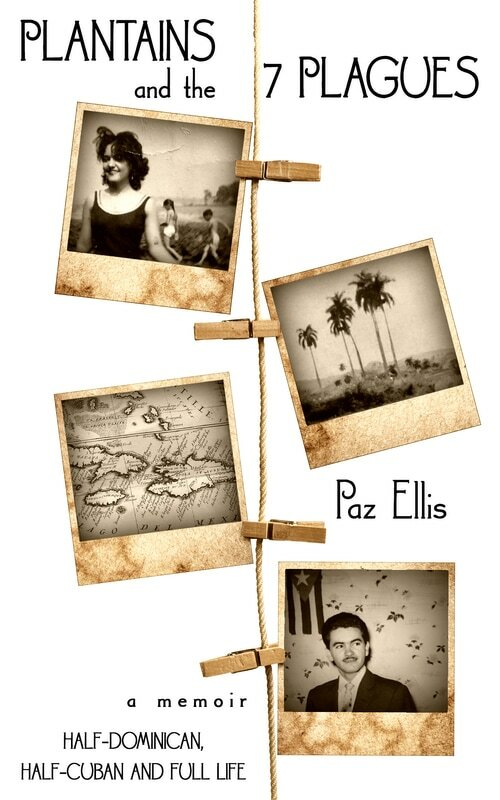 Paz takes us on a journey that includes her parent’s courtship, her mother's traumatic childhood, her father’s deep emotions regarding his birthplace, illnesses, her struggles in school, strong family bonds and her mother's recent passing. ​You will laugh and cry as you peek into Paz's childhood, from her naughty toddler years to her rebellious teens and the ups and downs of her relationship with her parents.